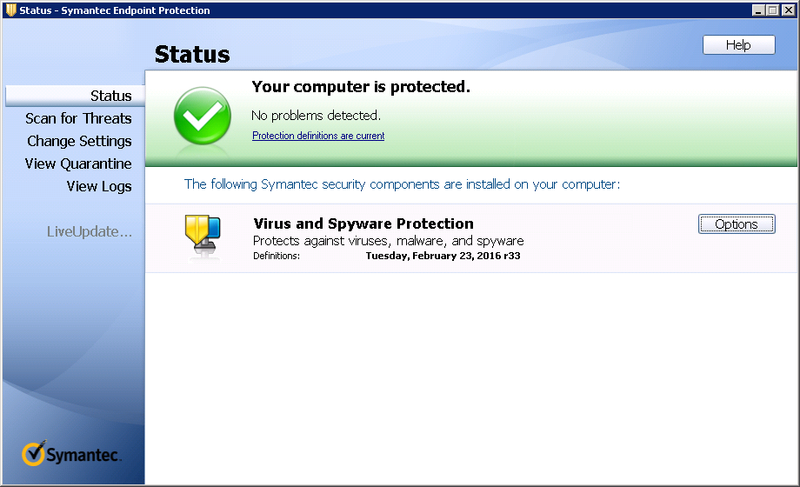 When a Windows VM is set up for vTools, a copy of the Symantec Endpoint Protection client tool is installed and enabled. This tool takes updates via a private management server, therefore your virtual machine does not require an Internet connection. vTools does not currently offer centralised monitoring or updating of the anti-virus setup on each VM. To access the tool and its help program, click Start, go to the All Programs menu, and open the folder Symantec Endpoint Protection. Scheduled scans and auto-protect options are enabled by default. You can modify these and other options according to your requirements by clicking Change Settings.